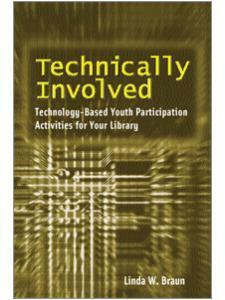 Implementing innovative teen services in libraries requires that library staff learn and adapt with their communities. 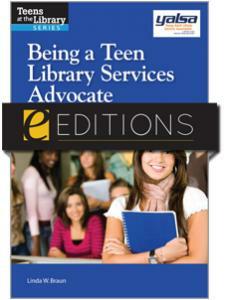 Using core concepts outlined in YALSA’s The Future of Library Services for and With Teens: A Call to Action report as a spring-board, this publication takes a deep dive into the theory and practice behind meaningful, cutting-edge teen programs and services with contributions from diverse leaders in the field including front-line practitioners, managers, and researchers. 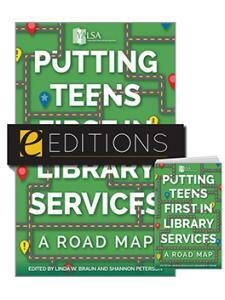 From novice to expert, readers will explore the knowledge and information that they need in order to design a relevant and sustainable strategy, which will improve the lives of the teens that they serve. 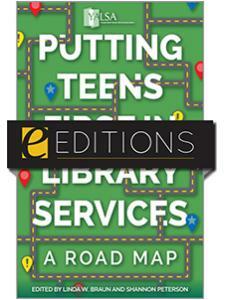 Linda W. Braun is an education technology consultant with LEO: Librarians & Educators Online. She provides training and consulting to schools, libraries, and other educational institutions on how to integrate technology successfully. She is also an adjunct faculty member at Simmons College Graduate School of Library and Information Science, where she teaches courses on Web development and teen services. 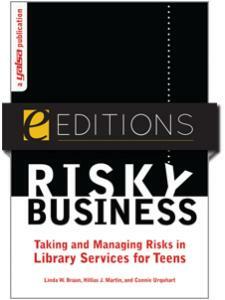 Linda has written books for ALA Editions, Neal-Schuman, Libraries Unlimited, and Information Today. She is also a TAG Team Tech columnist for Voices of Youth Advocates, and was blog manager for YALSA from 2006 through 2009.